In recent years America’s military has experienced operational readiness issues. A good bit of this is due to budget cuts resulting from the 2013 sequestration, but some sources also blame philosophical ideas about the military within the Obama administration. 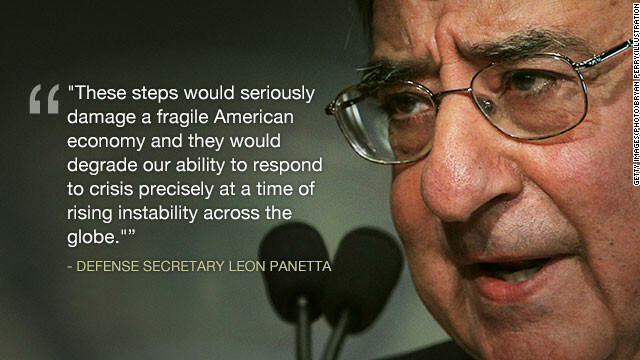 The Pentagon, under then-Defense Secretary Leon Panetta, planned to reach its mandated cuts through furloughs of hundreds of thousands of civilian workers in combat readiness training and weapons maintenance. He said at the time that the $46 billion in cuts the first year would significantly affect military readiness, and the longer the sequestration lasts, the deeper cuts that will be required to achieve the mandated savings. Just how badly this has affected military readiness is demonstrated in a Fox News story earlier this month. The U.S. Air Force, the smallest of the four major armed services, has cut staff to the degree that many military personnel now work extra shifts performing administrative jobs previously performed by civilians. These cuts have put the Air Force in the position of being short 4,000 service personnel to maintain its aircraft and 700 pilots to fly them. Personnel are now cannibalizing parts from planes no longer in service and stored at a desert site called "The Boneyard" and from planes on display in museums to repair active aircraft. Master Sgt. Bruce Pfrommer, who has worked on B-1 bombers for more than 20 years, told Fox that at Ellsworth AFB, South Dakota, where the 28th Bomber Wing is located, only nine of the 20 bombers there can fly. Those aircraft are closing in on 10,000 flight hours each, compared to about 1,000 when Pfrommer started working on them 20 years ago. "Our retention rates are pretty low. Airmen are tired and burnt out,” Staff Sgt. Tyler Miller, of the 28th Aircraft Maintenance Squadron at Ellsworth, told Fox. "When I first came in seven years ago, we had six people per aircraft — and the lowest man had six or seven years of experience," Miller said. "Today, you have three-man teams and each averages only three years of experience." The Navy also has operational issues. A Government Accountability Office report issued earlier this month, titled “Navy’s Optimized Fleet Response Plan” (OFRP) discusses problems facing our sea-going service. While the report does not specifically mention sequestration budget cuts, the symptoms support this as a least part of the problem. • Over the past decade, high operational tempo has reduced the predictability of ship deployments for sailors and for the industrial base that supports ship repair and maintenance. For example, carrier strike group deployment lengths have increased from an average of 6.4 months between 2008 – 2011 and 8.2 months between 2012 – 2014, to 9 months for three carrier strike groups in 2015. • Increased deployment lengths have resulted in declining ship conditions and materiel readiness, and in a maintenance backlog that has not been fully identified or resourced, according to Navy officials. • The declining condition of ships has increased the duration of time that ships spend undergoing maintenance in the shipyards, which in turn compresses the time available in the schedule for training and operations. In addition to budget cuts, reports of military brass being displeased with President Obama’s policies also pose questions. The Preamble to the U.S. Constitution provides that the federal government “provide for the common defense.” But in Article Four, Section Four, it states specifically that the “United States shall guarantee to every State a republican form of government and shall protect each of them against invasion.” No other power of the federal government shares that strong a requirement for performance. How does the Commander in Chief plan to fix this? So we'll all be voting Trump come November?